In this next Declaration, Gregory Pitt of White Sands Beach again acts on behalf of both Mackenzie Smith and the law firm’s client: White Sands Beach. 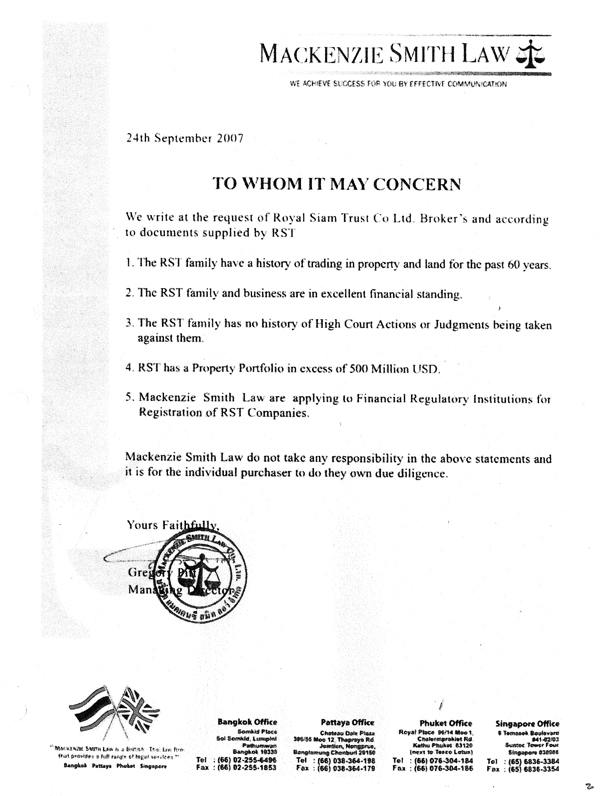 AGAIN: WHY IS GREG PITT FALSELY ACTING AS A LAWYER, MAKING FALSE STATEMENTS ABOUT ROYAL SIAM TRUST, AND THEN TAKING SELLING SHARES TO INVESTORS IN WHITE SANDS BEACH? WE BELIEVE PITT PERPETRATED A TOTAL CONFIDENCE SCHEME. WHAT OTHER CONCLUSIONS COULD WE MAKE?